I’ve been living in these one hour tees lately. 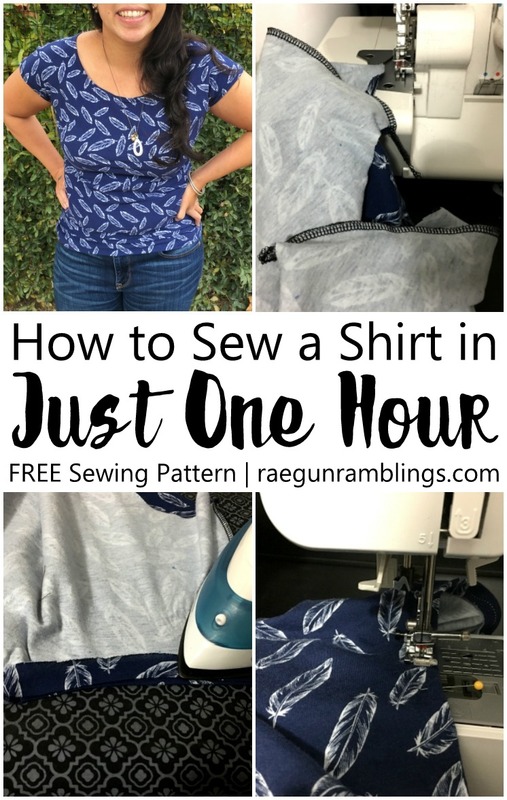 They are so easy to sew and I’m happy to say I’ve got a FREE pattern and tutorial for it to share! 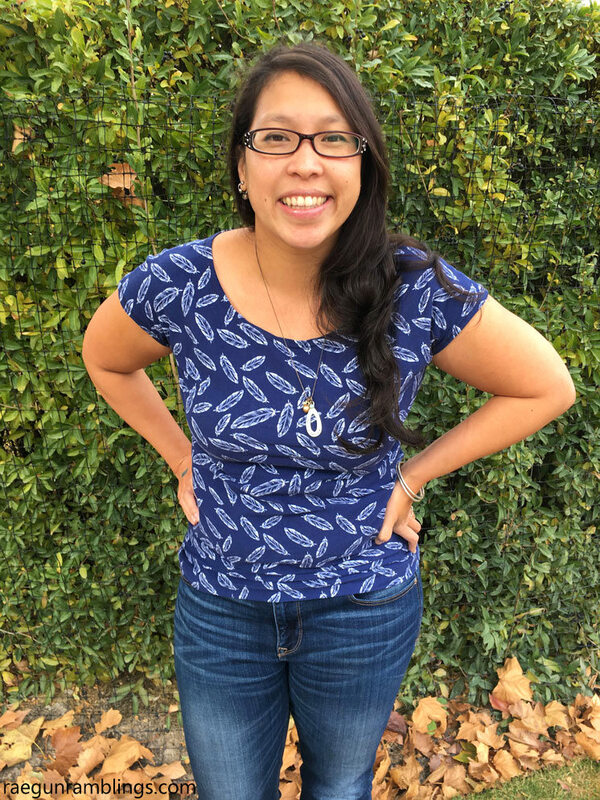 I sewed up some a few Sew Our Stash-es ago and I got such a great response that I decided I wanted to share the pattern. Now keep in mind that I really don’t know what I’m doing. This is a homemade amateur pattern. And even though I put a good amount of time into it it’s still free to my email subscribers so just be warned maybe try it out on some cheap fabric you don’t love first. It’s one size which should work for anyone who wears a medium or large. I based the design off of one of my favorite ready to wear shirts that’s a size medium but now a days I wear larges too. So it works for both as long as you use a fabric with some decent stretch. For mine here I used this gorgeous Feathers Navy fabric designed by my friends from Simple Simon and Co. for Riley Blake Designs. 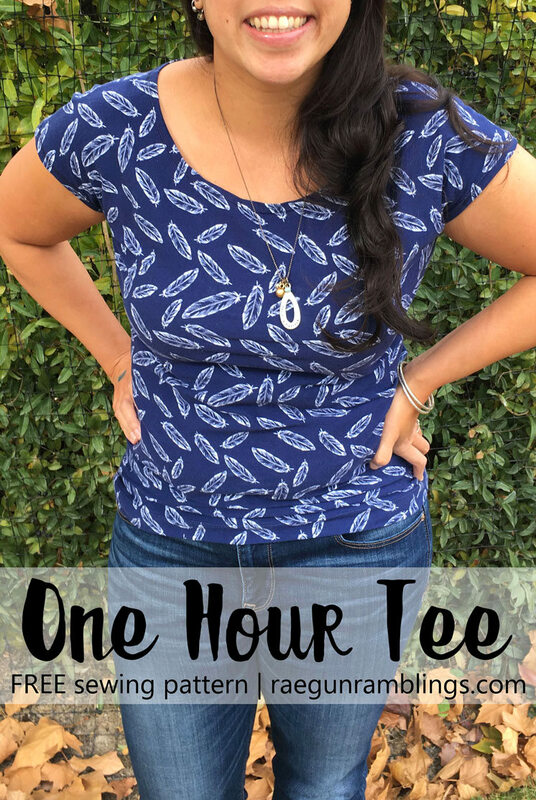 I LOOOVEEE this fabric the design is so easy to wear and if you’ve never used RBD knits you’re missing out. It’s the perfect weight and stretchiness for clothing! Make sure you check out the rest of the By Popular Demand fabric line it’s really gorgeous I mean who can resists arrows and triangles? I want some of all of it! Print out the pattern and tape the pattern pieces together by matching the top edge of the paper to the line on the paper above as pictured above. Cut your fabric out. 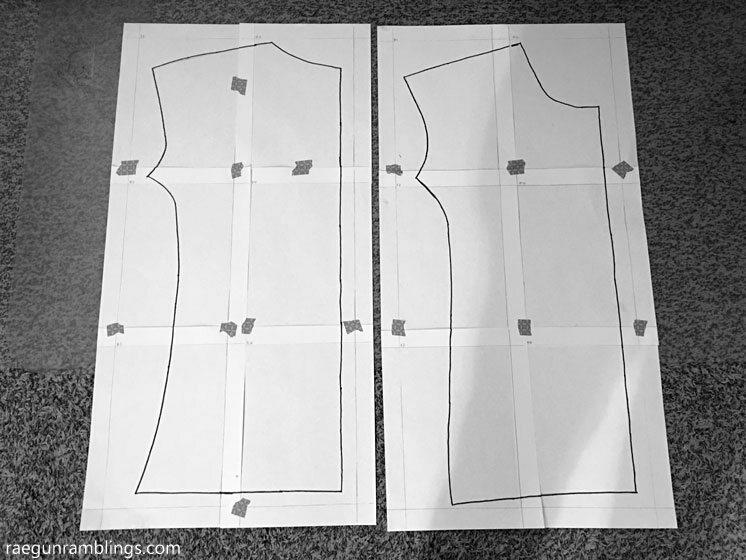 Place the front piece on the back piece with right sides together matching up the shoulders and serge or sew with a stretch stitch the shoulders with a 1/2 inch seam allowance. Serge or sew the side seams. Iron the neck like and sleeve edges under 1/2 inches. Pin if necessary. Iron the hem of the shirt under 1 1/2 inches. Pin if necessary. Hem the sleeves and the shirt hem using a twin needle and woolly nylon. 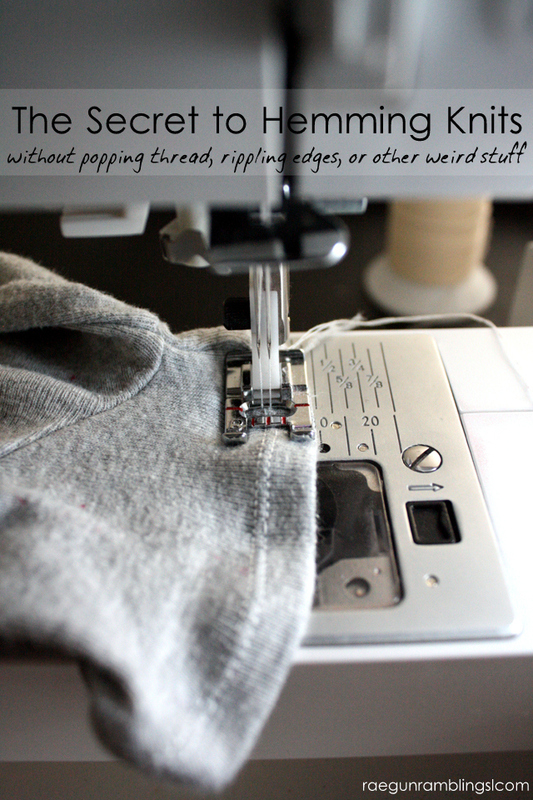 If you’ve never done this see my step by step how to hem knits tutorial. I love these shirts. This is my third now (see the others) and I wear them all the time. When the weather is warm they are great on their own. 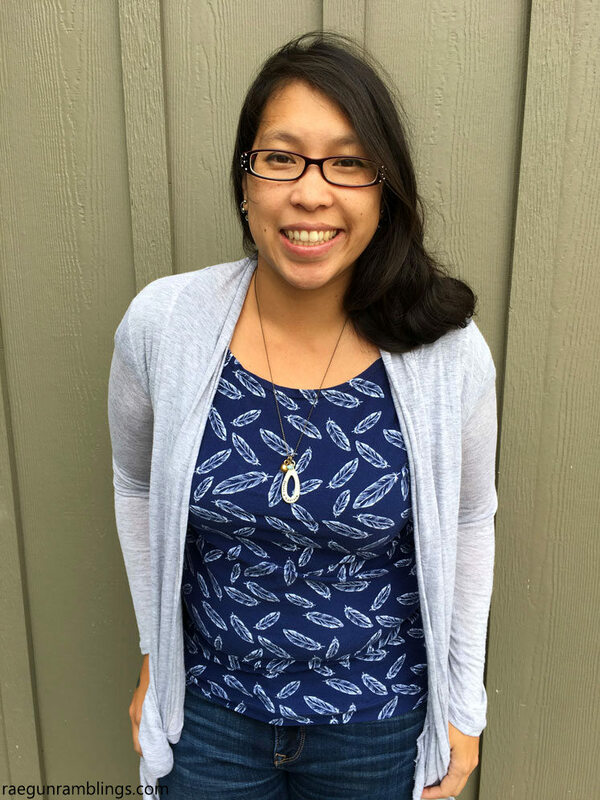 Now that the weather has cooled they are perfect under a cardigan. It really is a very versatile silhouette and can give you a totally different look depending on what fabric you use! I think I’m going to try to make a version out of a fancy sequined knit next! 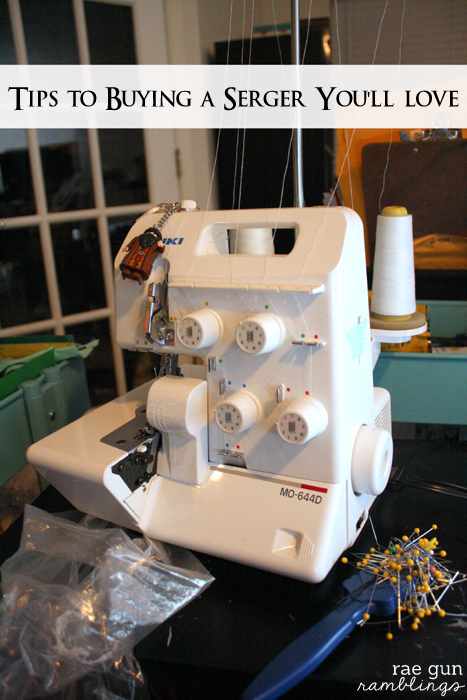 If you’ve been wanting to buy a serger you’ll want to read this! awwww thanks you’re the best!! were you able to sort it out? You have to enter the password on the downloads page and then there is a list of all my free patterns and downloads and when you click on the one you want it should open the file so you can download it.